Christianson’s plumbing installation, repair, and maintenance services are performed by highly trained plumbers. When you call Christianson, you can be assured we will send more than someone who simply works on plumbing. 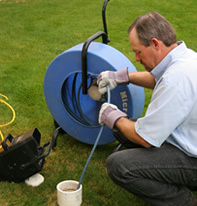 Christianson will send an expert in all aspects of your plumbing system. Our highly trained technicians have extensive field experience, and there’s nothing they haven’t seen when it comes to plumbing. Plumbing problems should never be taken lightly. When your pipes are leaking, the water heater is dead, or the drain is stopped up, you need an immediate solution. That’s what you get when you contact us for heating and plumbing repair services. We’ll travel to your location at the scheduled time to begin diagnosing and correcting your plumbing malfunction. What happens if a major plumbing failure develops in the middle of the night? Don’t worry—we can dispatch our 24/7 plumbers anytime. Just give us a call, and we’ll be there to help ASAP. 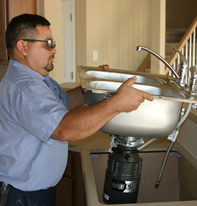 You don’t need to rely on run-of-the-mill plumbing contractors with minimal experience and exorbitant fees. Call Christianson today for affordable plumbing repair services at any time of the day or night. Contact our Austin or San Antonio, TX offices today to request heating services.